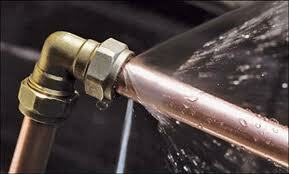 Have you ever had a leak at home? Or had your boiler pack up? It's not fun at all, and people are willing to pay to soften the impact of such unhappy events. As part of a current search for a suitable income-producing investment, I have identified HomeServe, which helps households to deal with these emergencies. HomeServe was established as a joint venture with South Staffordshire Water in 1993, to help customers with home emergencies and repairs, providing a network of experienced engineers. HomeServe's product range has expanded to include appliance repairs, locksmith servicing and boiler servicing. In addition it has international operations in the UK, US, France, Spain, Belgium and Italy. The company has expanded its partner base, working with many major utility and energy companies, alongside other companies, such as Vaillant, the boiler manufacturer. HomeServe (HSV) currently has a dividend yield of around 8%, dividend cover of around 2 and a p/e of around 8: all good financial metrics. However, this is partially due to a slump in the share price following an FSA investigation and are down over 40% in the last month. Looking at the Preliminary Results published in May 2012 shows that, whilst the profitability of much of the UK operations is doubtful, the international operations have performed very well. However, the UK income is still the major proportion of the business and the evidence is that steps are being taken to improve the profitability - and professionalism - of the UK operations. Cash flow has been hit by the expansion overseas but given the apparent profitability of these activities this seems good strategic approach. However, cash flow in the future will be a key concern. Overall, this company offers a good dividend which looks sustainable and a business model that looks as through it could grow substantially overseas, although it faces challenges in the UK. The big unknown is the level of any eventual FSA fine. Do you have any insights you can share? I've learnt a lesson over the last few years. If the way a company does business makes you feel queasy, then don't buy it, regardless of the metrics. Bought BT and Dixons on dividend grounds and value tips, even though they were companies I avoided as a customer. Lost 50% and 90% respectively. There is no way I would become a Homeserve customer (would you? ), so why buy their shares. Same applies to Admiral and Helphire. Wouldn't buy. Homeserve bombard me with spam fear-mail about the cost of a new boiler etc. My view is rather that any event that does not wipe you out, is not worth insuring against. So: home insurance and holiday health insurance - yes. Pets and Homeserve, no. There is a market - but this is a product which is sold rather than bought, and so is discretionary. One of my friend got HomeServe's products and she was so satisfied but before happening that she paid a lot for boiler leakage. It's really great and helpful!